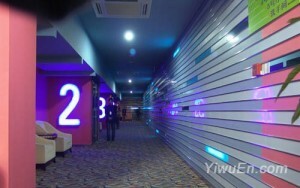 There are two modern cinemas in Yiwu. 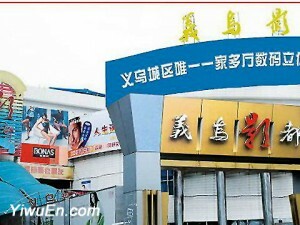 The old Yiwu Film City and newly opened Yiwu Hengdian Cinema. Yiwu Film City was built in 1995 and renovated on October 2004. It owns a construction area of 5,000 square meters, 4 video hall of big and small sizes and 1099 seats for audience. Yiwu Film City is the backbone of Yiwu film distribution centre and the projection cinema of China’s first round import movies. Yiwu Film City is equipped with automated transfer. There is SR.D A digital stereo sound system in cinema hall and Cinema A and analog stereo in Cinema B and Cinema C. An electronic display screen is set before the box office window. Together with elegant and beautiful environment, you can enjoy superb audio-visual effects and artistic atmosphere in Yiwu Film City. Yiwu Hengdian Cinema is full invested by Zhejiang Hengdian Movie and Television Entertainment Co. and built with a luxury five-star standard multifunctional cinema city. It is located in the thirteenth floor of Intime Department Store building which is a combination of shopping, entertainment, leisure, catering. The cinema has a total area of about 2,300 square meters with five international standard video hall including a 3D multi-functional video hall and about 500 seats. The whole cinema is Luxury, magnificent, comfortable and elegant. The 5 international standard video hall are equipped with today’s most up-scale and first-class audio-visual equipment, giving you unprecedented immersive audio-visual shock.